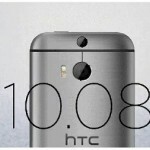 So long, we have been constantly hearing a plethora of leaks and rumors regarding the HTC made Nexus 9 tablet slated to launch this fall with the Android L update out of the box. 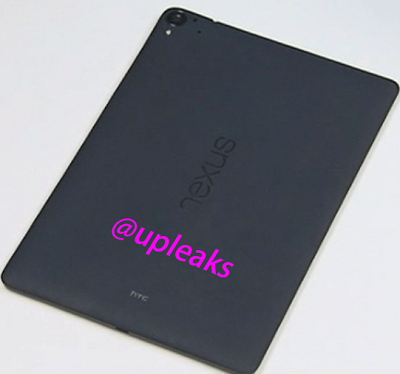 Now, it appears like we have come across the first leaked image of the tablet codenamed Volantis. Well, the Twitter user @upleaks that has shared good information about the Taiwanese tech giant including the Desire Eye specifications and images has come up with what is claimed to be the first image of the device. The image leaked by the source shows that is the made of plastic and not metal as reported earlier and that the material is similar to matte soft plastic as in the LG made Nexus 5 and Asus made Nexus 7 (2013). We have also seen the vertical Nexus logo in the earlier Nexus devices, but the camera looks pretty different from the Nexus 7 design. 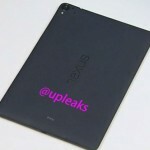 In addition, an Android Police report claims that the alleged Nexus 9 tablet has been approved by US FCC authority confirming that the launch of the tablet is not too far away. The FCC lists that the tablet carries the model number 0P82100 and that it will come in two variants – 16 GB and 32 GB storage capacities respectively. The connectivity options onboard will be the standard ones such as Bluetooth, NFC and Wi-Fi. May be HTC and Google might launch the Nexus 9 tablet on October 15 as rumored earlier, but we need to wait for an official confirmation from the search engine giant regarding the same. Anyways, the arrival of fall indicates the launch of Nexus devices and there are reports that the Nexus 9, Nexus 6 and Android L will be unveiled in mid-October. Going by the previous reports, the Nexus 9 known as ‘Volantis’ will feature an 8.9 inch display with a resolution of 2048×1440 resolution that results in a pixel density of 281 pixels per inch. Furthermore, it will include a Nvidia Logan Tegra K1 64-bit processor along with 2 GB of RAM.